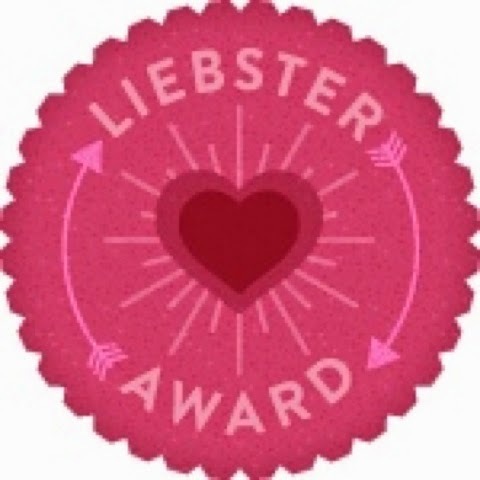 I’d like to send out a huge and sincere THANK YOU to Natasha at Gigggle Giggle Toot Roar for nominating me for The Liebster Award! I am sooo thrilled and honored by this! I am loving this blogging thing and am so touched that my brand new blog has been chosen. Thanks a million Natasha! “My understanding is that bloggers with followers under a certain threshold (somewhere between 200-2000) are nominated. It’s a fun way to share a bit about yourself and learn about other newer bloggers too. This is a cool and supportive venture; a way for the blogging community to show each other some love! 1. As a kid I wrote fan letters to Marie Osmond and Lindsay Wagner (The Bionic Woman). I never heard back from either one of them. 2. In college, my favorite salad was a mixture of cheetos and popcorn (not a vegetable or anything green in sight!). 3. I’ve owned two horses in my life: Chippie I boarded at a stable in Andover, MA. Santiago I tethered to a stake in the ground in the remote village of San Ixtan, Guatemala where I lived for two years. 4. Trying to go to the Fiesta De Paz, I arrived so late at the border of El Salvador that I had to sleep on top of a cotton truck for the night, waiting for the border to open the next day. 5. After getting kicked off a train in Ireland, my friend and I tended bar for our room and board that night. 6. I’ve never been to Disney World. 7. I hiked an active volcano in Guatemala. I would be furious with my kids if they ever attempted this! 8. I have the same exact thing for breakfast 7 days a week, 365 days a year (oatmeal and coffee). 9. I used to review Young Adult novels for Kliatt Magazine. 10. I have a Noah’s Ark Closet: when I find something I like, I buy it in two different colors. 11. Until we had kids, my husband and I had a date every week where we would take turns planning the evening, surprising the other with the details as the date unfolded. I started my blog as a way to further flush out, through my writing, what God was trying to teach me in the this journey of motherhood. My hope is that it helps other moms see that Scripture does pertain to us and can be of great help and inspiration. 2. How would you define a good leader? One who inspires, not criticizes. 3. What’s your biggest pet-peeve? Being ignored by my kids or my husband. Chicken pasta with sun-dried tomatoes and spinach. 5. If you won a million dollars, what would you do with it? I’d pay off our debt, establish college funds for my kids, and then start surprising friends and family with things they need the most. 7. If I spent a day in your shoes, what would it be like? If it’s the summer, it’s a blast! Every day is a different “adventure” with a different fun destination that I surprise my kids with. If it’s the school year, it’s all routines, schedules, homework, housework and to-do’s. 8. What’s the best thing that’s ever happened to you? Becoming a mother. Although I may complain and feel overwhelmed at times, the moments when I truly connect with my kids is the greatest gift I’ve ever been given! 10. If you could meet anyone from the past, who would it be and why? It would have to be Jesus. Just having an hour in His presence would change me forever! I’m more of a “salt” girl and prefer cheetos (preferably 3 days old and soggy – go figure?!!!). 2. Who are the five famous people (dead or alive) that you would invite to a dinner party? 3. What’s one quirky thing about you that most people don’t know about? 4. What would your “perfect day” entail? 5. Where’s the place that brings you the most peace and why? 6. What are your three most valuable possessions and why? 8. What’s one New Year’s Resolution that you never seem to fulfill? 9. What’s your favorite movie and why? 11. What was your childhood dream for yourself? I hope that you all accept this nomination and continue the momentum of paying it forward: supporting each other, providing more exposure for each other, and spreading love and joy to each other. It’s such an amazing experience to get so much encouragement from people I’ve never met face to face. Thank you from the bottom of my heart!!! Thank you again, Natasha, for nominating me! It means the world! Congratulations, Claire! You have great content on your site. I’m glad Natasha recognized you and Shifting My Perspective. You deserve it! Thank you so much Deborah! I would have nominated your blog but Natasha beat me to it! Incredible. I loved your 11facts about yourself. You have a great sense poo f adventure.